Parkinson’s disease is difficult to diagnose because symptoms may also be present in other medical conditions. 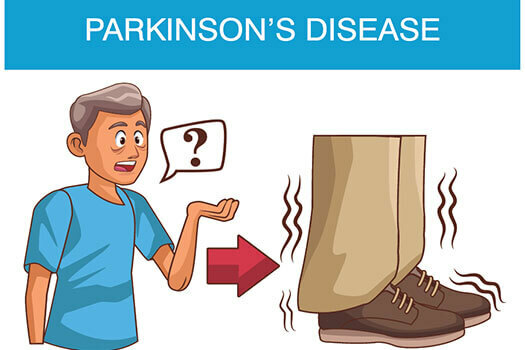 However, the symptoms produced by Parkinson’s disease are easier to control when it is diagnosed in the early stages. Certain signs appear when the disease process initially develops. Recognizing the changes can help seniors get the medical attention they need. Here are a few early warning signs of Parkinson’s disease. A study performed in Israel in 2013 found that one of the early signs of Parkinson’s development was a change in handwriting, which is known as micrographia. The damages occurring in the brain cause bradykinesia, which makes it difficult to control the fine motor movements required to write. As a result, the handwriting is smaller in size and takes longer to complete. The words might also appear closer together. The pen or pencil used to write with is commonly held with a looser grip, which makes the writing appear lighter than usual. Parkinson’s disease is a major health concern that can impact a senior’s ability to perform daily tasks independently. If your senior loved one has been diagnosed with a serious condition and needs help with tasks like meal prep, transportation, bathing, and grooming, reach out to Home Care Assistance, a leading provider of elder care Huntsville, AL, families can trust. We also offer comprehensive care for seniors with dementia, Alzheimer’s, and Parkinson’s. Uncontrollable shaking, or tremors, are one of the most widely recognized Parkinson’s symptoms. The issue typically begins with twitching in one or more fingers, a hand, a foot, the chin, jaw, or other facial regions. The spastic muscle movements generally begin on one side of the body. However, they eventually progress to include the other side. Seniors with Parkinson’s experience rapid eye movement behavior disorder. They often toss and turn more than usual, and they may grind their teeth. During sleep, they may flail their arms, kick, or thrash about in bed due to uncontrollable muscle movements. The symptom may become severe enough to cause an older adult to fall out of bed. Many seniors experience stiffness upon first rising out of bed. However, the issue usually fades as the day goes on. Seniors with Parkinson’s continue feeling stiff throughout the day due to the neuron impairment that commonly takes place with the disease. In women, the symptom is often neck stiffness accompanied by pain. In both genders, raising an arm to reach for something or perform a task becomes more difficult. Overall body movements may also appear slower than normal, movements often become less coordinated, and a normal walking gait transforms into shuffling. Seniors who experience chronic neck discomfort or other health issues often need assistance with an array of tasks. Whether your elderly loved one needs part-time assistance with basic household chores or you need a break from your caregiving duties, the Huntsville respite care experts at Home Care Assistance are here to help. All of our respite care services are backed with a 100% satisfaction guarantee, there are no hidden fees in our contracts, and we never ask our clients to sign long-term contracts. Researchers from Czechoslovakia found that approximately 78 percent of seniors with undiagnosed Parkinson’s exhibit some type of vocal abnormality secondary to the nerve changes that affect the muscles needed to create speech. In the early stage of the disorder, seniors might have difficulty enunciating their words. The voice becomes softer, hoarse, rougher, or changes in tone. Older adults might also speak in a monotone or develop audible tremors. Family members often notice the issue before the senior becomes aware of the difference. Seniors can delay the onset of Parkinson’s disease by making healthy lifestyle choices. If your elderly loved one needs help maintaining healthy habits, consider hiring a professional caregiver. Families can rely on Home Care Assistance Huntsville to provide dedicated and compassionate in-home caregivers who are trained in our holistic Balanced Care Method, which was designed to encourage seniors to exercise often, eat nutritious foods, maintain strong social ties, and focus on other lifestyle factors that promote longevity. Call us at [hca_today] and create a customized Parkinson’s care plan for your senior loved one. What Are Some of the Best Hobbies for Older Adults? How Can I Encourage My Elderly Loved One to Eat? How Can Older Adults Increase Their Muscle Strength?